Blio: Perhaps The Future Of Books? : All Tech Considered I watched a demo of Blio this afternoon and I was impressed. eReaders like the Kindle and the Nook only let you see the book in black and white. Blio brings back the color. Blio: Perhaps The Future Of Books? What Three Little Pigs looks like on the Blio eReader. There has been plenty of buzz about eReaders at this year's Consumer Electronics Show (CES). There will even be an entire section of the Las Vegas Convention center dedicated to them. But, I think the trick may be in the software. A company called knfb Reading Technology is about to launch eReader software called Blio. I watched a demo of Blio this afternoon. Demoed on a laptop and iPhone, I was impressed. eReaders like the Kindle and the Nook only let you see the book in black and white. Blio brings back the color. It's perfect for children's books. They showed us a copy of the Three Little Pigs and they were pretty cute in pink. Blio books are interactive and 3D. They demonstrated an anatomy book with a "name that bone quiz." This kind of technology should be a great study aid for medical and nursing students. One of the developers of this new software is inventor Ray Kruzweil. Kurzweil is known for his work with text to speech technologies. So, naturally Blio will read books out loud. The computerized voice in the demo didn't sound bad. But, I would be worried that if my kids had that voice reading them to sleep at night they'd grow up with some sort of robotic accent. But, Blio also has access to 75,000 professionally acted books on tape. 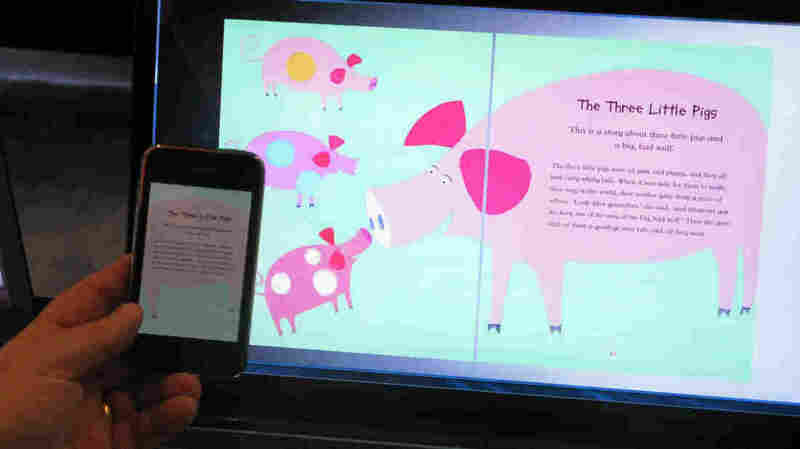 The software syncs the book and the audio and a cursor moves along so you can read as you listen. Kurzweil, who has also been dubbed a "futurist," believes people are not going to do things on different devices. They will want a device where they can search the web, send email, listen to music and read books. (And tie my shoes while you're at it.) Blio was developed for that kind of device. When the show opens tomorrow a vast number of tablet computers are expected to be on display. Kurzweil thinks that's the device of the future and Blio will be the perfect software to turn them into wonderful eBook readers. Blio will be available for Mac and Windows operating systems. Yes, you can use it on your iPod. knfb is working with Baker & Tayler, one of the world's largest distributors of physical and digital books. Blio will be available for free sometime in mid-February and Baker & Taylor will have 1.2 million books available for download and online storage. One million of those books will be free.